Crystal Exchange America regularly posts accurate, edgy, and entertaining articles to the Kristall Buzz. We want to stay connected with Swarovski collectors. Twitter is an easy way to broadcast quick blurbs about new Swarovski crystal figurines on our site. 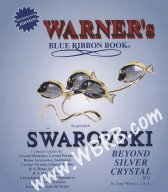 Naturally, we’ll use Twitter to relay new postings from our Swarovski Blog, the Kristall Buzz. 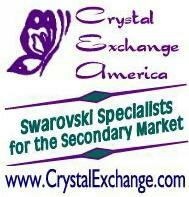 Crystal Exchange America, a leader in selling retired Swarovski, is taking a step forward using Twitter. Twitter is now integral in the information-sharing arena when it comes to Swarovski news and letting collectors know when rare and unusual Swarovski figurines are available on online. Angie McIntosh, owner of Crystal Exchange America, is excited about using Twitter to share information with Swarovski crystal fanatics: “We want to stay connected with Swarovski collectors and clients. Twitter will be an easy way to broadcast quick blurbs about new Swarovski crystal figurines on our site. And naturally, we’ll use Twitter to relay new postings from our Swarovski Blog, the Kristall Buzz.” says Angie McIntosh, owner of Crystal Exchange America and Swarovski collector of over 25 years. Kristall Buzz, KristallBuzz.com, focuses on Swarovski news and articles about Swarovski figurines, primarily retired Swarovski and rare Swarovski collectibles. The Kristall Buzz also features new product introductions, Swarovski club announcements, and additional buzz regarding the Swarovski brand. In the past year, nearly 250 Swarovski articles have been posted. Many of their articles and pictures are appearing on other blogs, a true compliment to Crystal Exchange’s investigative effort and dedication. 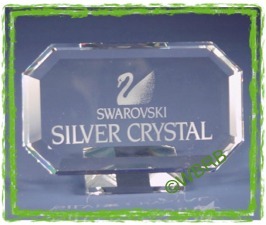 Sharing the posts via tweets, Crystal Exchange America expects more traffic to their Swarovski blog and online store websites. Crystal Exchange America continues to sponsor RetiredSwarovski.com, a website for Swarovski retirements. 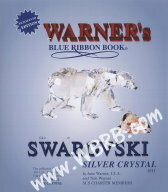 This site has a vast collection of information about retired and discontinued Swarovski crystal, as well as announcements about planned Swarovski retirements.